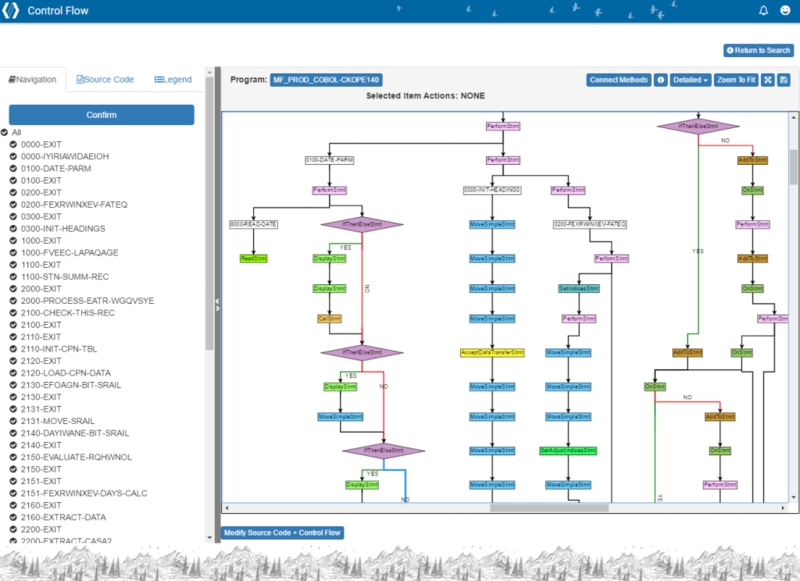 SMART TS XL is an application discovery platform made for today's complex and hybrid IT stacks. It supports any platform and any language, making cross-platform analysis a breeze. Break down silos, support DevOps initiatives, and inform business analyst efforts across all stages of the application discovery and support process. 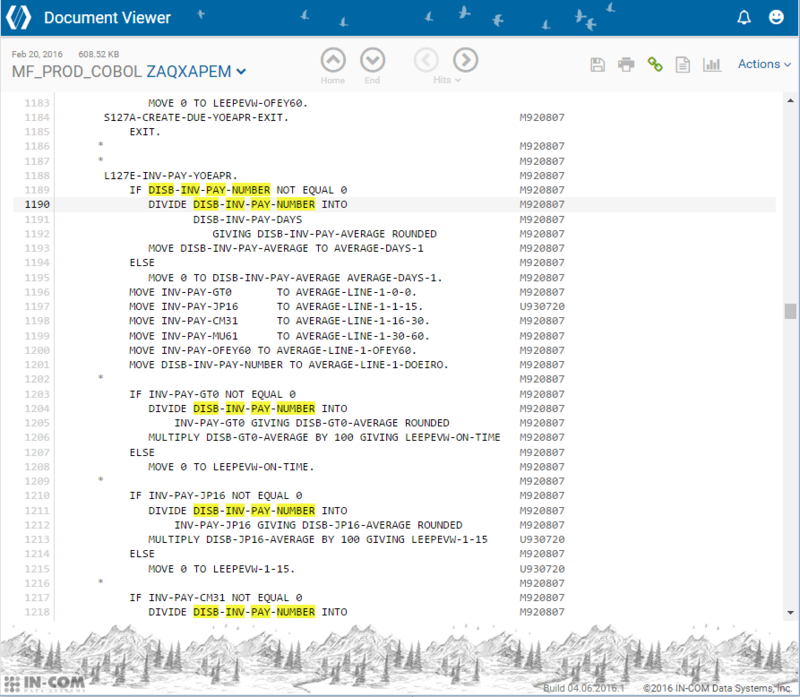 The patented Software Intelligence® technology searches and analyzes millions of lines of code, hyperlinks referenced items, and provides in-depth dependency mapping. With results in a matter of seconds, there's no more waiting minutes, hours or days for a complex mainframe scan. SMART TS XL is the only platform that also supports important non-programmatic items like database schemas, change management resources, ticketing systems, documentation and more. One centralized repository allows for all enterprise assets to be automatically catalogued and easily accessed. Reporting features are easily accessible at any point during your process. 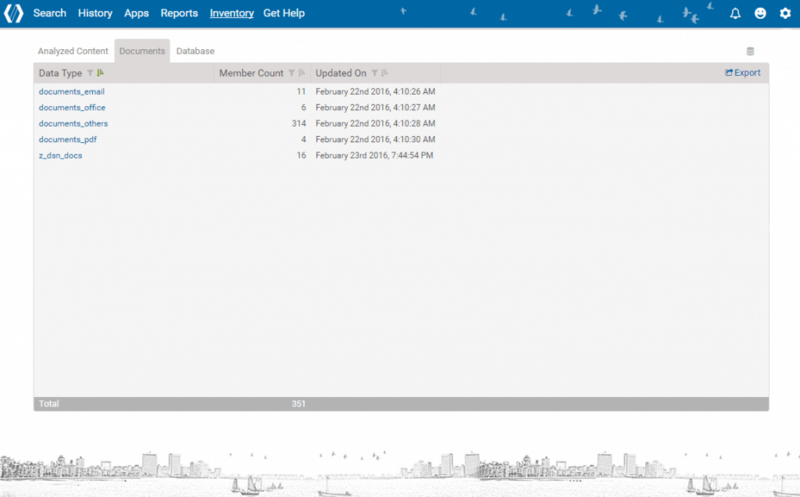 In a few clicks, you can instantly create and share reports, diagrams or flowcharts. 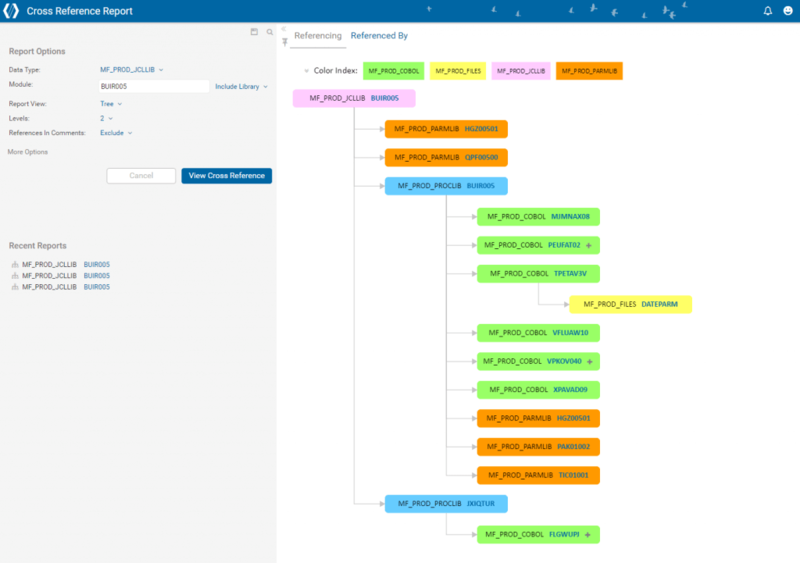 Map application dependencies across multiple languages and platforms and discover the impact of potential changes. 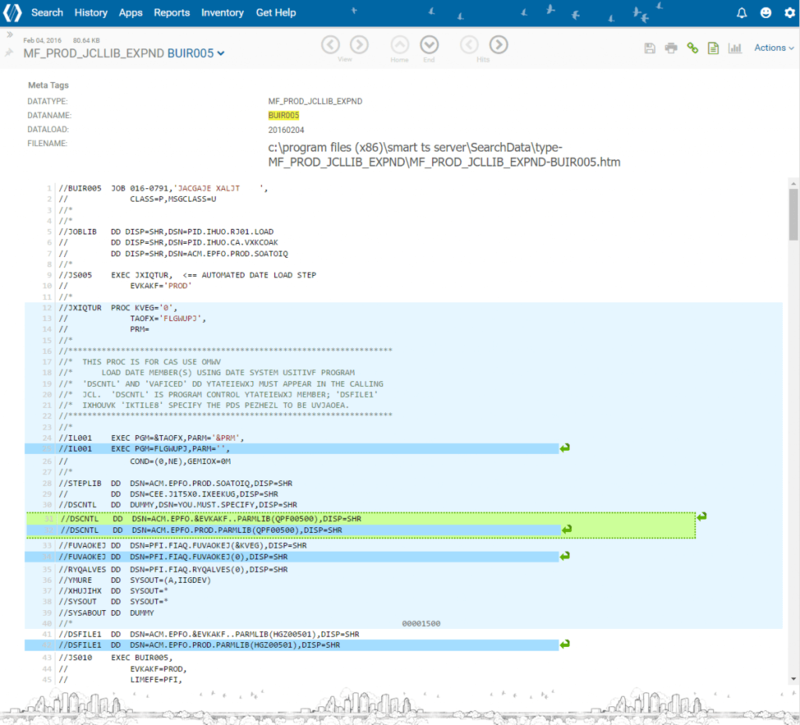 Pinpoint bugs, identify redundant or inefficient areas of code, and enforce quality coding practices. Create documentation for unknown or undocumented applications, and bring everyone up to speed with powerful code understanding tools. "SMART TS XL is an invaluable tool in my everyday tasks. To help provide the business with quick and accurate estimates and answers; SMART TS XL is the tool to use. There are several cases where a question will be asked of IT by the business and as usual it is needed 15 minutes ago. 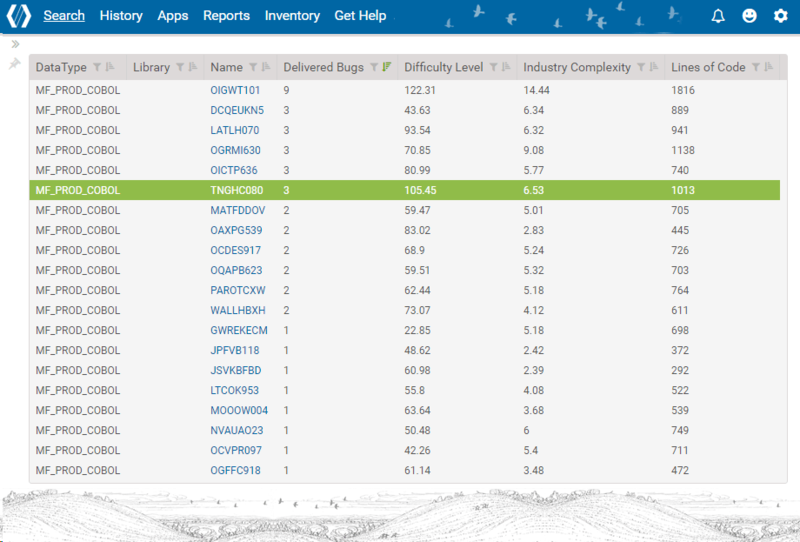 "With the versatility of SMART TS XL I am always able to do a few quick searches and I will instantly have the number of modules, the extent of which these modules use certain datafields, and trace back and flow through information letting me know how certain data flows through our system. With this information I can quickly give the business an accurate estimate and an answer as to the feasibility of any solution to their issue." 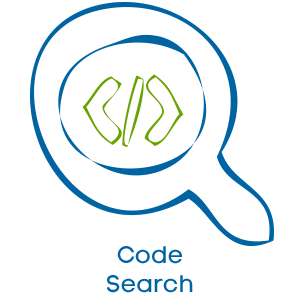 Advanced code search capabilities allow you to search and analyze vast and varied data repositories from one place. 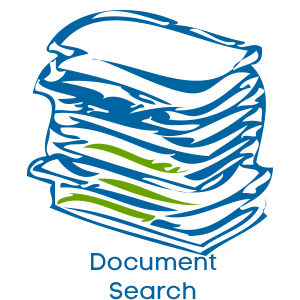 Search your enterprise documents for the information that you need. We support any text-based asset, including word documents, spreadsheets, presentations and countless other formats. 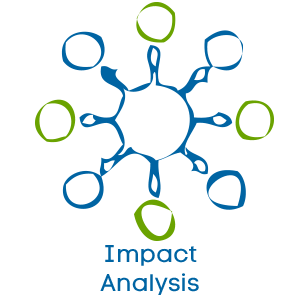 Accurately predict the impact of changes with robust impact analysis capabilities. Hyperlinks allow you to easily move between referenced elements, and color-coded diagrams give you a visual of how and where they interact. 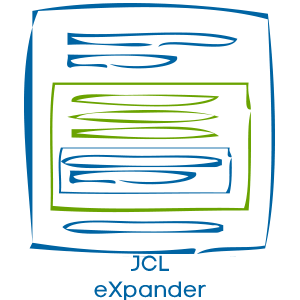 This time-saving JCL expansion tool displays all Procs, Parms, DSNs and other symbolic variables referenced in the JCL. You can read your JCL as it would look at run-time without looking up each individual element. 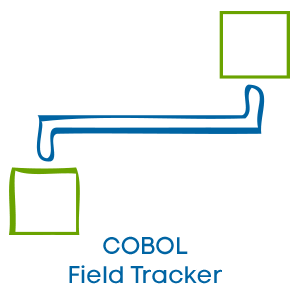 Use the Field Tracker tool to see the ripple effects of changing a field in COBOL programs and any included Copybooks. 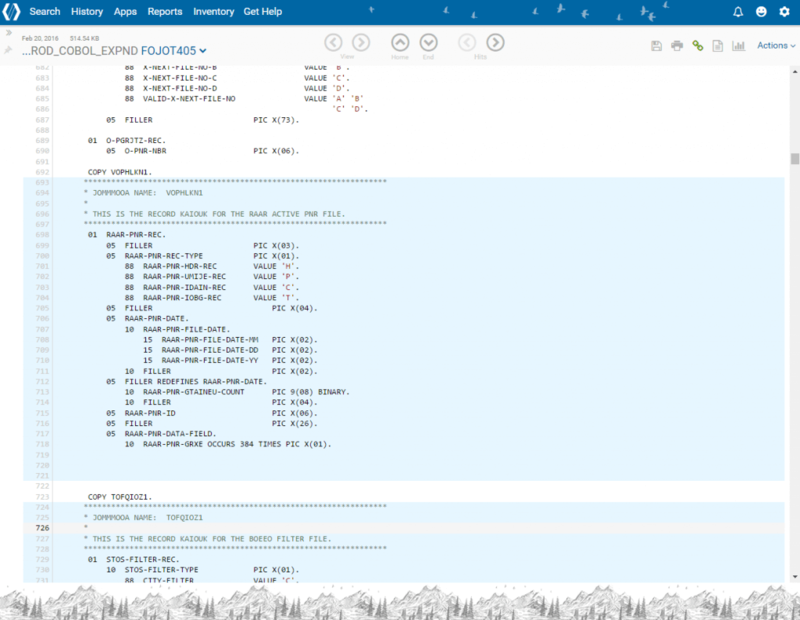 This tool makes projects easier by instantly finding and tracking field movement in a program. 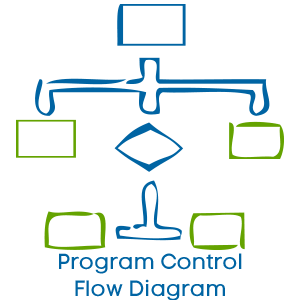 This powerful tool generates an interactive control flow diagram for the program you select. 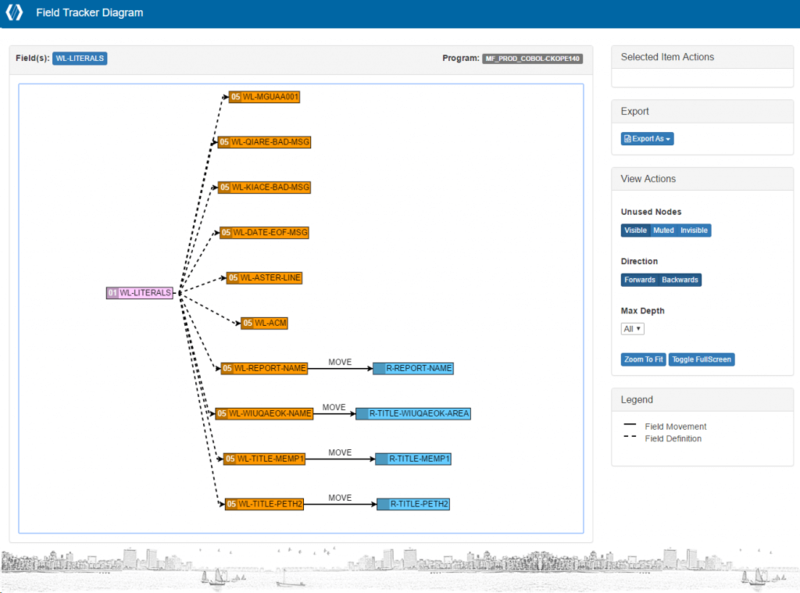 The diagram renders a complete picture of how the program works and provides you with multiple levels of detail. Estimate project complexity and determine timelines with the help of reports that detail program difficulty, suspected number of bugs, level of effort, hours required, and other measures. 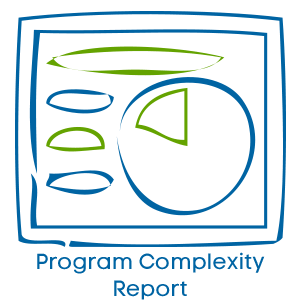 Complexity reports are calculated based on the Halstead complexity methodology and industry standards. ▸ Which platforms are supported? Information from any platform can be loaded into SMART TS XL - mainframe, iSeries, Linux, PCs and other distributed assets. ▸ Which programming languages are supported? 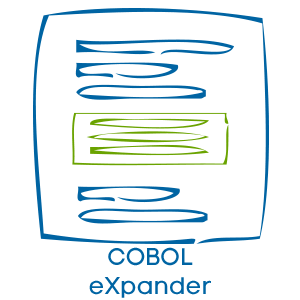 SMART TS XL supports any programming language, including home-grown ones. For a full list of supported languages, contact us. ▸ How long does it take to set up? Installation and implementation timeframes are affected by the volume of information to load, equipment requisition times and personnel availability. Typically, the majority of the set-up can be accomplished in a week. ▸ How is your product licensed? SMART TS XL is licensed on an enterprise-level. based on the volume of information loaded.